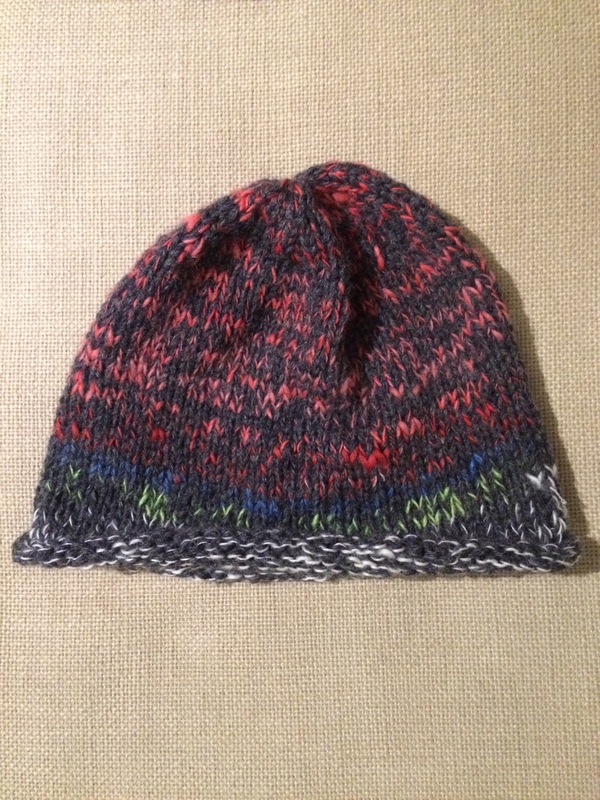 These things are easy and quick to crank out, especially in heavy worsted/bulky yarn! Along with the heavy gray, I added a crazy ball comprised of my bits of leftover lace weight handspun that I couldn’t part with. It’s very thick and warm! There will be another one much like this coming up soon. I love using up every last scrap!